This is an annual research report that looks to uncover the growing complexity of illicit communities and the industrialization of cybercrime over the past year. In the report, Flashpoint’s researchers highlight prolific trends that pose the greatest risk to organizations and their critical assets. Malicious actors regularly congregate in the Deep & Dark Web to plan, execute, and profit from a range of illicit activity – from hacking, financial fraud, and intellectual property theft to terrorism and other violent acts. Intelligence about this activity can help organizations prepare for the latest threats before they surface. 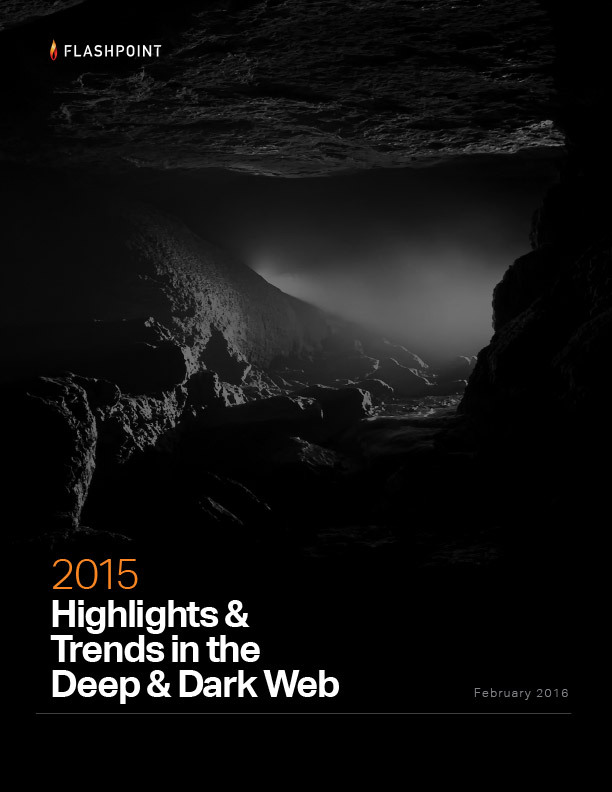 Flashpoint specializes in monitoring these largely inaccessible regions of the Deep & Dark Web, offering expansive visibility into the darkest corners of the Internet.